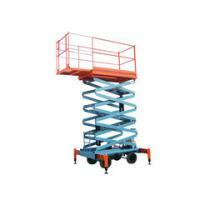 Mobile Scissor lifts are also called as mobile scissor aerial work platform; they are used to provide temporary access for contractors to high, inaccessible areas on a variety of job sites such as maintenance, construction work or emergency access by firefighters. They are designed to lift limited weights and capable of being fully operated by a single person. 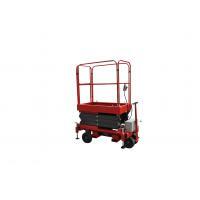 They are narrow enough to be used in industrial settings and can be driven through narrow aisles with ease. 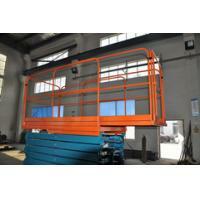 The scissor structure enables reliable stability when the lifts rising up, the broad platform and the high loading capacity get the aerial working more efficient and more safely. 1. Pointing control of lifting up and down. 4 The control panels are available on the platforms and ground. 6. Neatly folding guardrails make it easy to maneuver through doorways, into elevators and throughout other height-restricted areas. 1. 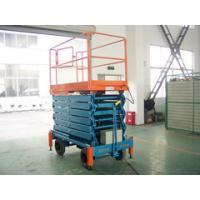 Site: Work Shop, Theatre, Hospital, Library, Restaurant, Hotel Exhibition Hall etc. 2. 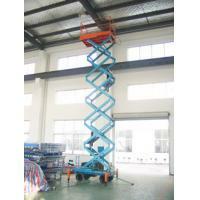 Aerial Working Purpose: machine maintenance, painting, cleaning etc. 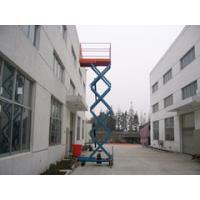 Why to choose Xunte Mobile Scissor Lift? 5.All the quality complaints and improvement requirements are always studied seriously, if reasonable, put into practice immediately. 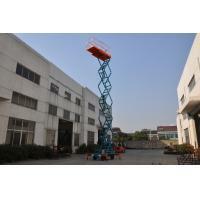 Bestmax Heavy Industry Company Limited/Xunte Hydraulic Lifting Machinery Co., Ltd. is one of the leading aerial work platform and logistic loading and unloading machines manufacturer in Suzhou, China. Bestmax/Xunte have been served our customers with the design, manufacturing, and installation of aerial work platform and logistic loading and unloading machines for more than fifteen years. 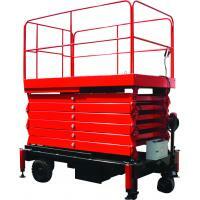 Our machines have enjoyed great popularity among our domestic and foreign customers in over 50 countries. Our goal is to help our customers achive success by solving problems, increasing working effiency and lowering management cost. We give top priority to quality of products by continuous innovation and shoulder the responsibility to provide customers with safe and efficient products. Excellent working team, clear cut development direction, good after sale service, advanced manufacturing equipment, and restrict safety requirements, all theses are the prerequisites for us to provide our customer with satisfying machines. Machines also can be manufactured based on our customers' requirments, our team will take good care of our customer's needs and try our best to reach their expectation.